Leading Liverpool property developer, Ion, in collaboration with the Knowsley Estate has submitted planning permission on the 23-hectare Earlsfield Park development that will bring new employment and homes to North Huyton. The well-located site sits close to Junction 2 of the M57, directly south of the Knowsley Estate and is set to provide 40 acres of employment park and a housing development of 160 new homes. The ambitious development is proposed to sit adjacent to the existing Lord Derby Playing Fields and Oak Plantation – areas which developers Ion will use to create an essential recreation space for the residents and workers nearby. There will also be a retail and leisure offering in the form of a pub/ restaurant, petrol station and a hotel along with both pedestrian and cycle access. 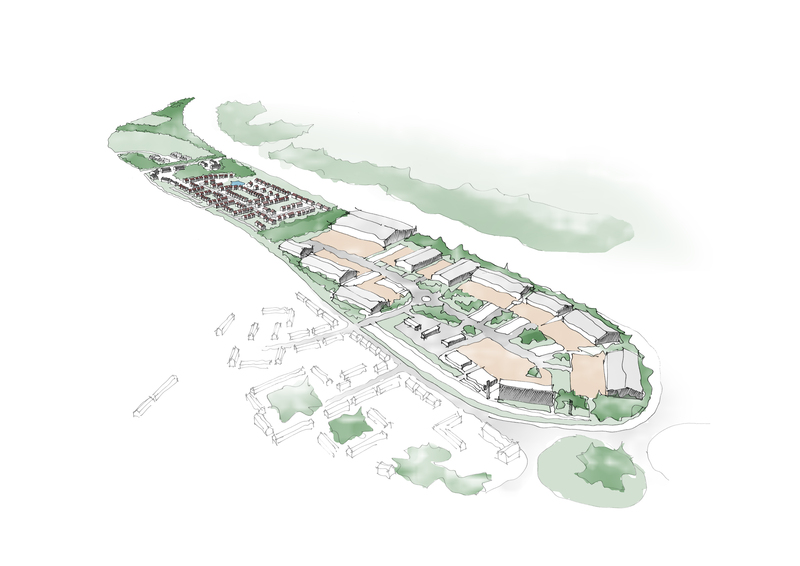 The employment park is to be pitched as a ground breaking ‘hybrid’ model where the demand for high-quality advanced manufacturing research and development facilities and sub-regional logistics business space can be fulfilled alongside more traditional office and workshop spaces, encircled within a semi-rural parkland setting. Steve Parry, managing director of Ion Development said: ‘The employment park is an important focus of this development. With the launch of the Knowledge Quarter, Liverpool and Merseyside is set to become UK leaders in the field of science and technology innovation. Our vision for Earlsfield Park is that it is instrumental in supporting the regional direction by becoming a specialist environment that supports science, technology and advanced manufacturing.